AI has advanced over the last decade tremendously. Applications range from the detection of cats in YouTube videos (2012) to more serious research as skin cancer classification . “Deep learning allows computational models that are composed of multiple processing layers to learn representations of data with multiple levels of abstraction.”  Therefore a vast range of possibilities for the use of deep learning is present and should be explored. You will be supervised by one or more of four PhD-Candidates actively working with Machine Learning technologies at ITIV. Possible project subjects will be discussed in person. Own project ideas are also welcome! A. Esteva et al. “Dermatologist-level classification of skin cancer with deep neural networks”, Nature, vol. 542, pp. 115-118, 2017. 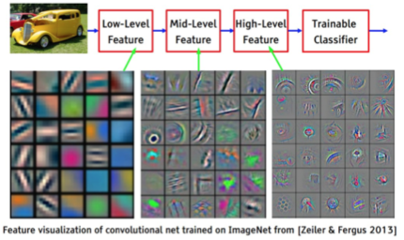 Y. Lecun, Y. Bengio, and G. Hinton, “Deep learning”, Nature, vol. 521, no. 7553, pp. 436–444, 2015.